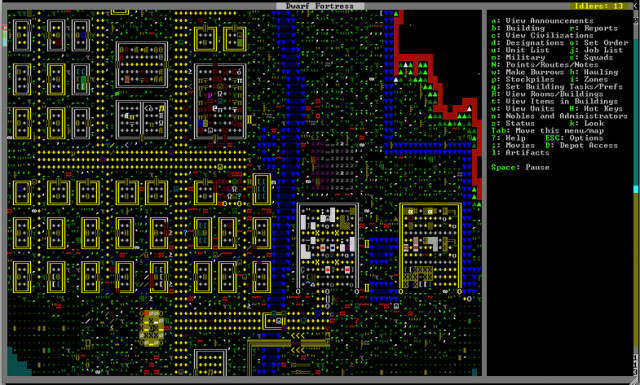 Dwarf Fortress is an extremely addictive game where you are required to manage and maintain a sprawling kingdom of dwarves. The in-depth gameplay mechanics and the management aspects of the game have made it extremely popular among fans of the genre. Needless to say, there are many more games out there that play similar to ‘Dwarf Fortress’ and provide the user with a matching or even better experience. So, here is the list of video games similar to Dwarf Fortress that are our recommendations. 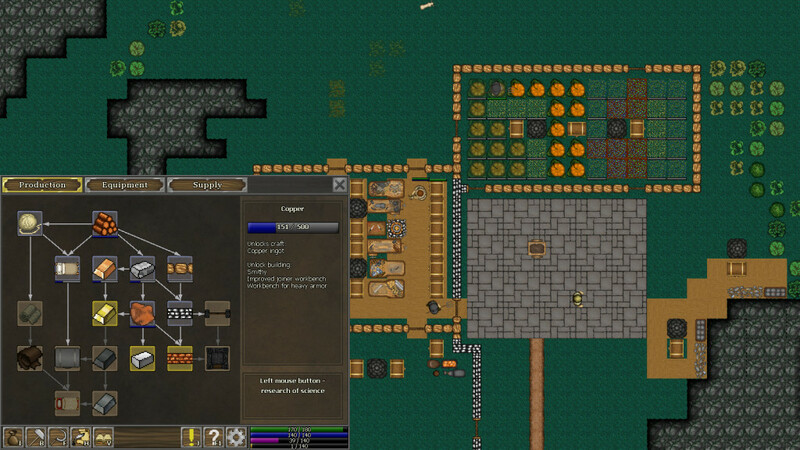 You can play these games like Dwarf Fortress on PS4, Xbox One, Xbox 360, PC, iPhone, Android, mac or even online. Roar the mighty thunder gods and spill the ale in the taverns as a bustling city comes to life under a mighty mountain. We all know how efficient dwarves can be when they set their minds on a task and the widespread reach of the caverns underneath echo of their very success. Seldom will you find a settler dozing off — each hurrying about their activities like their very lives depended on it. And so it does! There are horrors in the caverns below that no one likes to talk about, but are certain of their existence. The consistent incoming attacks have been proof of that. Nature too finds its devious ways to mess with the lot, sending various disasters their way. So, now they have chosen you, their prized warrior to take the stand and lead their civilization to glory. A strong command is needed and only you are capable of the same — rallying your people and motivating them to put their lives on the line. Build a sprawling dwarven empire and lead your people to glory as you play “King under the Mountain”. The building and simulation mechanics for the game are very similar to that of ‘Dwarf Fortress’; so if you enjoy playing management sims, you will definitely enjoy playing through this one. Arguably one of the better titles on the list. Zombies do have a hard time getting against humans, I tell you! The game developers are throwing zombie games at us and we are gobbling them up like candies to kids, each one of them more tasteful than the other. We now have gathered so much experience fighting zombies that at the slightest hint of an outbreak, we will be there yelling ‘let me at em’. 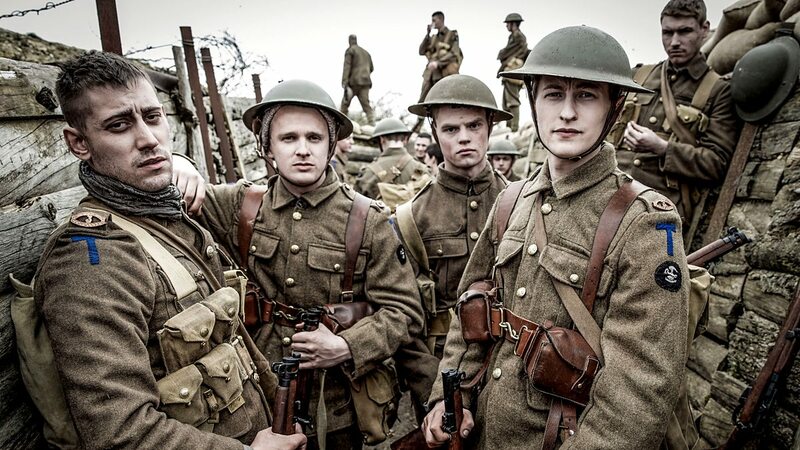 And if the zombies somehow manage to elude all the gamers worldwide, killing all of the population but us; then we will be there to make our last stand against them, fighting them off of like rats. All the skills that we might require to gather resources build up our bases and equip our settlers with weapons have been covered in ‘Judgment: Apocalypse Survival’. The game puts you in the premise of a zombie apocalypse where most of the countries have been wiped out. However, you have managed to escape along with a band of survivors and now you must make you last stand against the horde of vermin. Resource management is of utmost importance and if you have played games like ‘Dwarf Fortress’, then you have most of it covered. However, there is a survival mechanic in the game that you need to master where you are required to allocate your resources effectively so that the needs and wants of the settlers are met and they are healthy enough to fight off the invaders. Various occult practices open up to you which you can research and finally put an end to the demon infestation. ‘Civitatem’ is a fun little civilization management sim and builder developed and published by LW Games in the year 2018. The graphics for the game are very minimalistic and bright and adds to the overall atmosphere of the game. Though the game can get quite dark sometimes, the overall environment and ambiance radiated by it are quite bright and will inspire you to start over if you find defeat. Seasons play an important role in the game as the very survival of your people depends on it. It affects the crop cycle, the growth and availability of food, environmental conditions and various natural disasters among others. Start gathering the basic resources quickly if you don’t want your people to run out of basic needs during the first stages of the game. 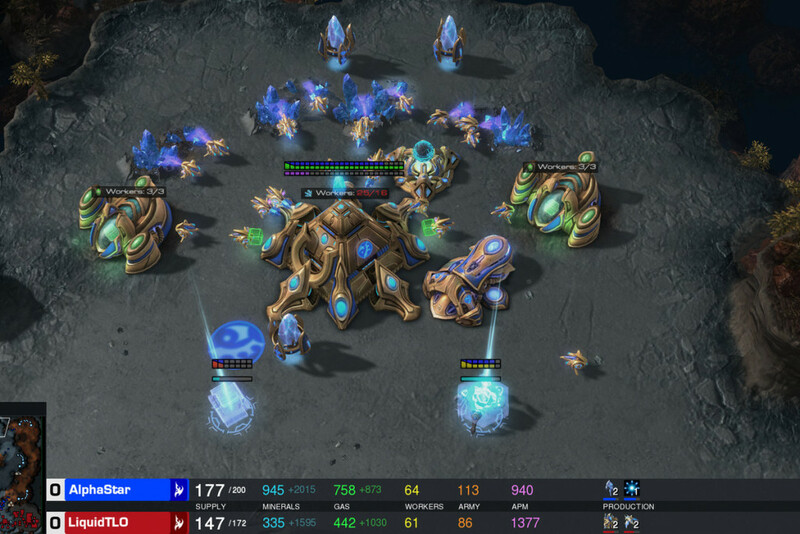 This starts to stabilize in the later stages as the flow of resources are constant and the focus is more on defenses and survival. Opposing factions attack you during the course of the gameplay but can be defended against quite easily using a handful of soldiers. However, keep in mind that your people need food, shelter and clothing constantly so make sure that you have a steady supply of those. The game, though easier than ‘Dwarf Fortress’, will definitely manage to surprise you at times, so be prepared for that. A few good seasons of well managed crops and you are good to go! 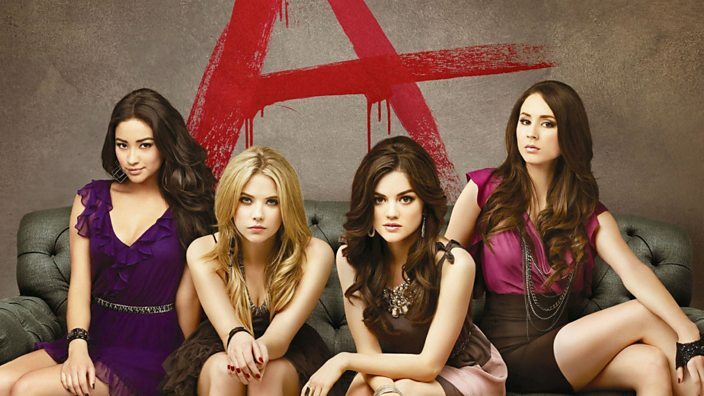 First of all, let me just put it out there that I had huge expectations from this title, but it turned out to be one of the biggest disappointments ever. So I have some pent up rage against the developers of this one, and I am afraid to say that I am not the only one. There are a lot of critics, youtubers and gamers worldwide that had huge expectations from this game and the developers let them down terribly. However, putting all the anger issues aside, the amount of lost potential in this one is simply saddening. The world design is immaculate and actually feels like a living breathing ecosystem that interacts with one another. In addition, all the mechanics for the game are extremely well thought out and detailed, making it one of the most immersive city building experiences to date. The camera shifts from third person ‘god view’ to first person views in critical moments of gameplay adding to the overall immersive experience. There is an extensive disease management system that will trigger if you don’t meet the required standards of nutrition for your people. So you can tell that the developers had a gem of a product in their hands but simply failed to deliver. We hope they do not give up on the project completely and work on a few patches for the game as it really does have the potential to shine in a market dominated by games like ‘Dwarf Fortress’. 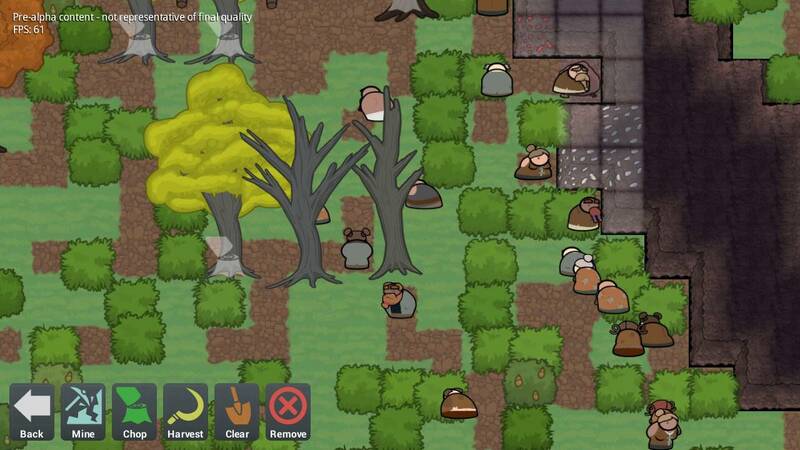 ‘Gnomoria’ is a city builder and management sim that puts you in the shoes of pesky gnomes that are determined to build an empire out of a small sector of land. Don’t go by the size of these creatures and they really do pack a punch when they want to, tirelessly working to maintain their castle in pristine order. All seems quite efficient when you look at their kingdom from up top; but once you are given the driver’s seat, all of their nitty-gritty activities are revealed in the light. 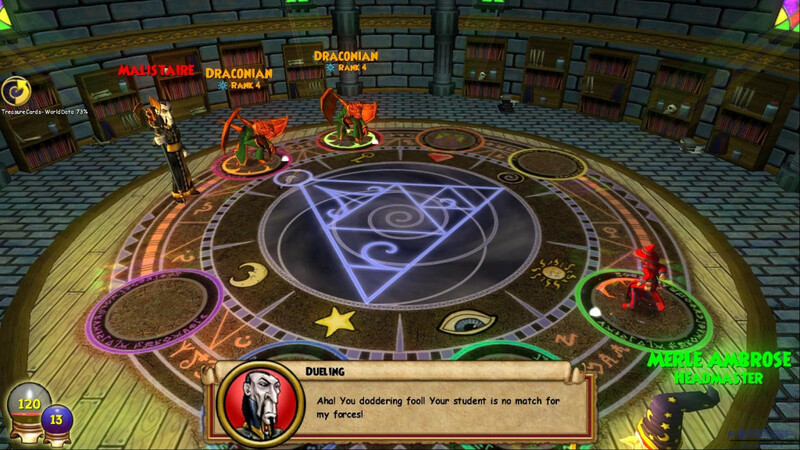 The amount of activity and coordination that is required to maintain their sanctum is mindboggling and will easily overwhelm the unsuspecting player. Everything in the environment is destructible and can be removed and rebuilt according to your choice and this is quite an important aspect of the gameplay as you are required to build the shortest possible pathway between resource nodes and storage facilities. 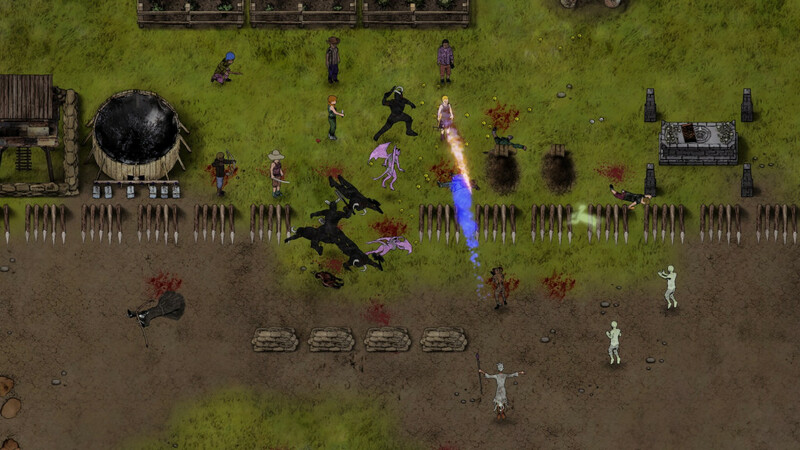 There are combat mechanics as well where you need to fend off invaders but this is completely optional. It is possible to play through the game without engaging in combat at all and upholding the way of peace. There are various mechanics in the game that are similar to ‘Dwarf Fortress’, but the most striking similarity of them all is their ability to work tirelessly and maintain decorum under the most stressful of times – and this is one lesson we all can learn from these earthen factions. ‘First Feudal’ gives you the option to lead your own people to glory or let them perish in the hands of perilous raiders. As the lord of the little settlement, your word is gospel and you can really abuse your power in this regard. However, to progress through the game and ensure your own survival, you need to take care of your valuable peasants even though they are simple resource gatherers for all you care. Each settler can be assigned a profession and once that is settled, they will automatically start working and producing resources for the colony. 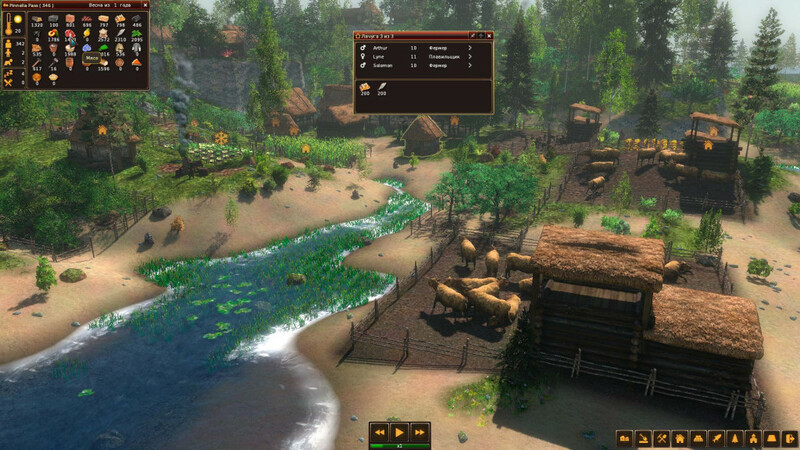 These resources are extremely crucial during the early stages of the game and improper management of the same and lead to the settlers dying off. Raiders will occasionally attack the settlement and it’s up to you whether you want to defend your town and send the militia or let the people defend themselves. Sometimes, the latter is actually a viable option, as one learns during the course of gameplay; and we found ourselves using that option more often as we started to better understand the mechanics of the game. 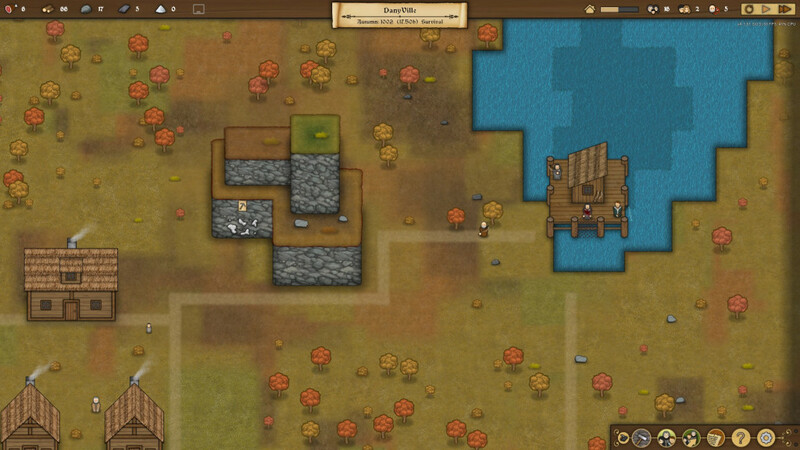 In addition to the raiders, merchants too will visit your town and you can trade resources with them if you wish to. All in all, ‘First Feudal’ is a pretty similar experience to ‘Dwarf Fortress’ and is definitely a game you should check out in your free time. 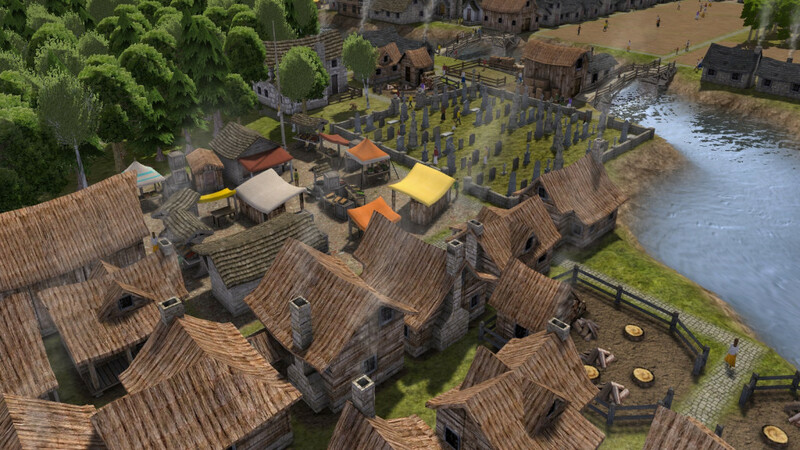 ‘Banished’ is one of the most unforgiving city building strategy games out there and really knows how to punish a player for improper resource management. Even a slight error in your resource management strategy can result in your entire population dying out in the first season of the game alone. The premise of the game revolves around a bunch of survivors that have been banished from their kingdom and now needs to make it on their own in a harsh unforgiving environment. You are free to build as you wish and expand your territory in order to attract more survivors but keep in mind that the required sustenance of the people also increases. Maintaining a fine balance between production and consumption is the key to winning the game. We highly recommend this game to people who like resource and colony management sims like ‘Dwarf Fortress’ as this is one of the best in the genre out there. 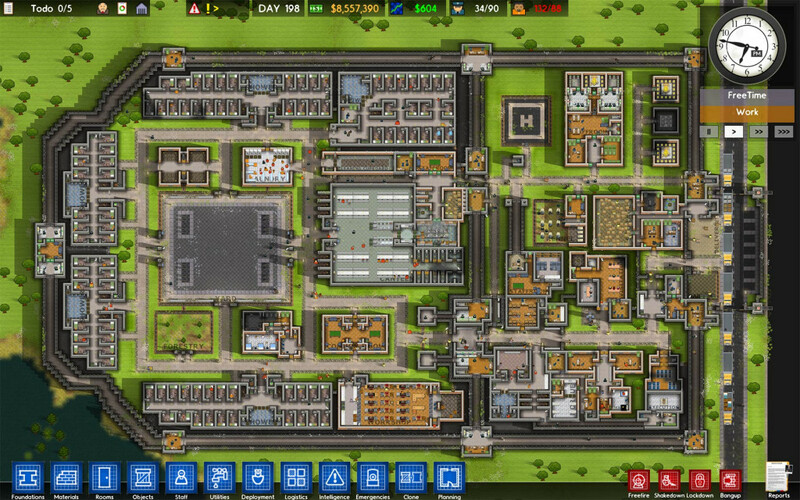 ‘Prison Architect’ is a unique take on the colony management sims and requires you to manage and maintain a maximum security prison instead of a colony of settlers. You need to build enough lockups so that you are able to maintain space for the steady supply of inmates that are incoming. Also, a canteen is required so that the inmates don’t go hungry and start a riot. In case they do start a riot, you need to direct your security forces to the places of unrest and put a stop to their nuisance. Toilets are a must and things can get quite messy and out of hand quickly if not provided adequately as we figured out in one of our ill-fated gameplay experiences. In addition to the management sim, there is a prison escape mode where you need to break out from maximum security prisons without being detected, or killed. This is one game you really need to check out if you like playing management sims like ‘Dwarf Fortress’, especially since the game introduces a lot of new mechanics into the gameplay. 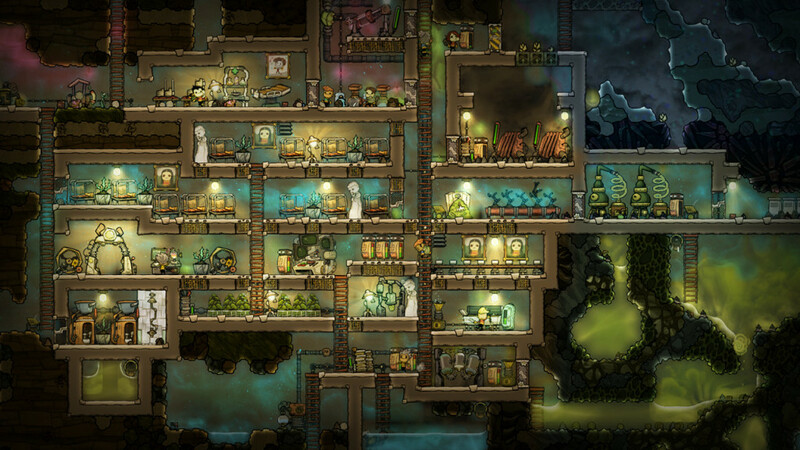 ‘Oxygen Not Included’ puts you in the farthest reaches of space on an unnamed asteroid with just a pocket of fresh air. You have no memory of how you got there or what happened prior to your crash-landing on the asteroid but what you do know is that you need to get a settlement going fast if you are to have any chance of survival. However, you are not alone and you find two other survivors on two separate asteroids stuck in the same position as you. Will you be able to cooperate with each other and manage to get a makeshift space colony up and running before the vast emptiness of space engulfs you? 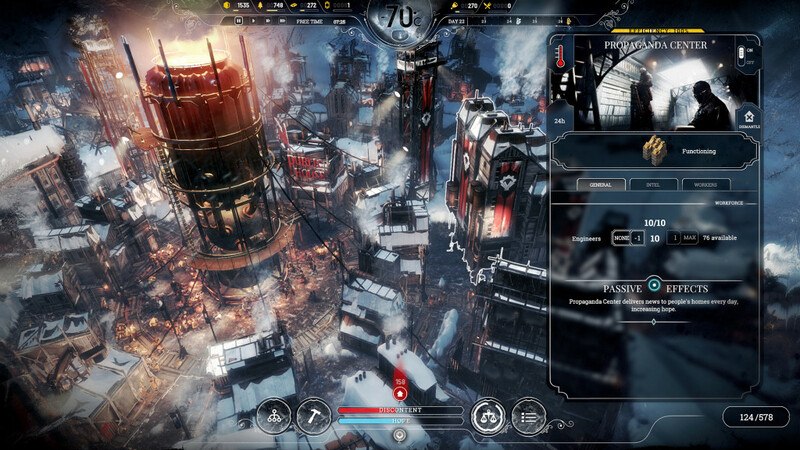 ‘Frostpunk’ is one of the best looking colony management and survival sims out there that puts you in charge of managing a small group of survivors after a sudden ice age wiped out most of the earth’s population. There are various decisions you need to make within the game that will really question your morals; so if you think you are a man of ethics and will uphold that even when the worst comes to shove, we dare you to play through this one. ‘Frostpunk’ is a must play for fans of games like ‘Dwarf Fortress’ and therefore, it finds the top spot on our list today.